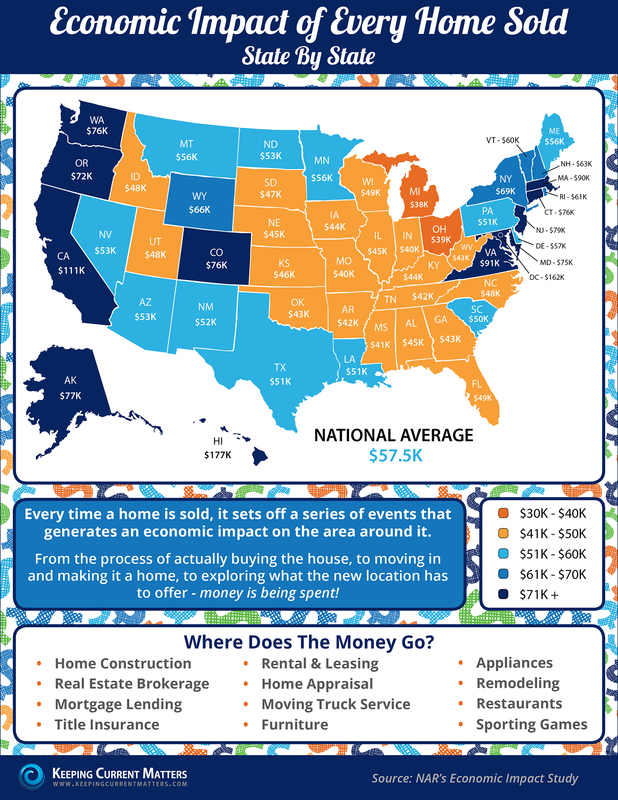 Every time a home is sold, the surrounding economy feels a boost. Different industries and businesses benefit at each stage of the process of moving into a home! Hawaii leads the way with a $177,000 boost to the local economy.